The USA surely did. 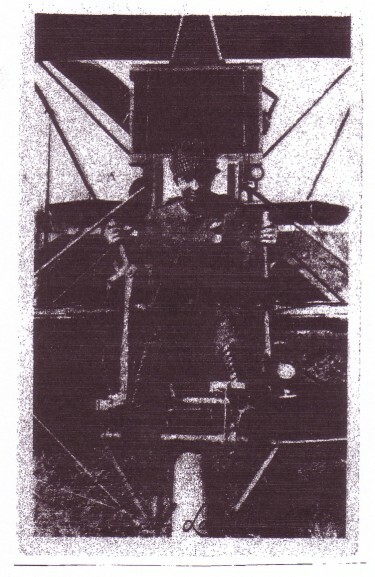 One was aviatrix Ruth Law on this card from Charles Sterba, USA. Signed in ink, it was probably a souvenir card from the many aviation events she appeared at nationwide. Charles has another card featuring her at such an event in Iowa. 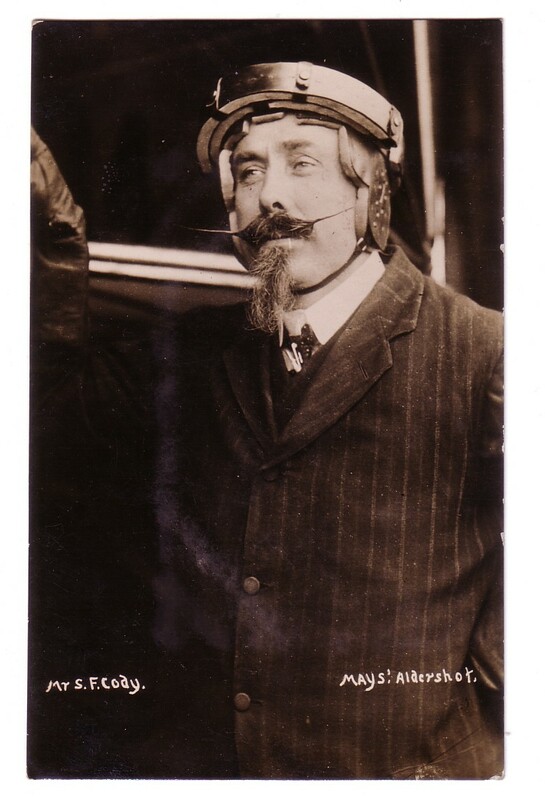 Colin White, Kent UK provided an example of the real photo cards of Mays of Aldershot – a fine portrait of Texas born Samuel Franklin Cody – first to build and fly an aeroplane in the UK. ZEPPELINS feature on 2 cards. 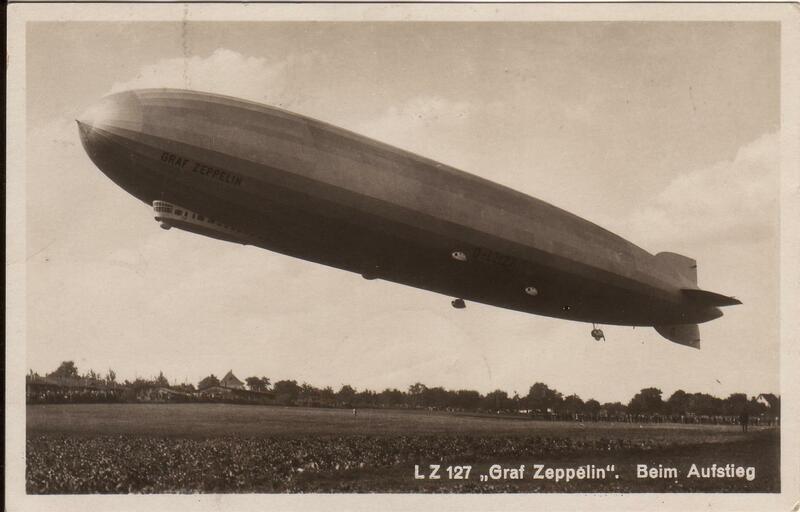 First from Bill Trower, Essex, UK shows the “Graf Zeppelin” LZ127 and is a card written and postmarked on board on 17 Sep 1930, at Friedrichshafen . 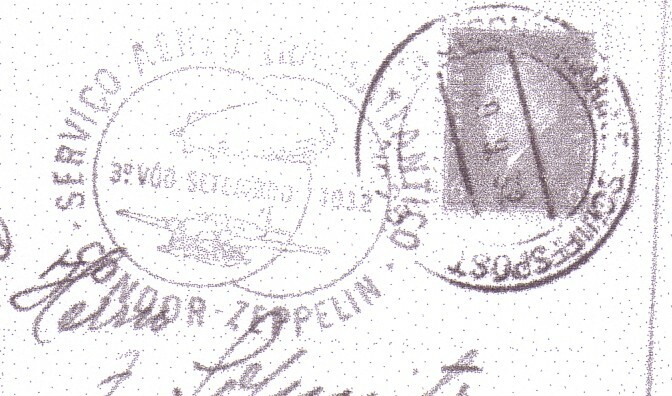 Both Zeppelin cards represent the link with the postal history interest. Brian Hyner, Birmingham, UK epitomises this. 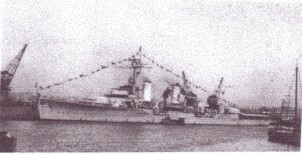 The card is actually of a warship, the German Cruiser Karlsruhe. 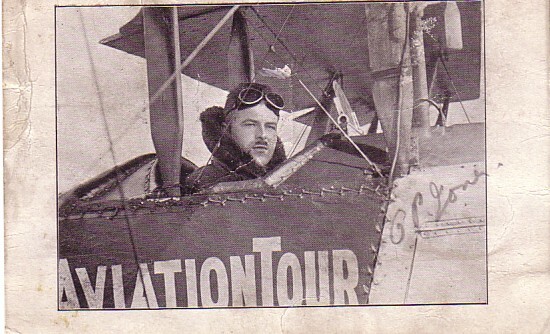 The postal history/aviation link is on the back postmark. Background is that the Graf Zeppelin, on a scheduled service on 29 Sept 1932 was unable to land at Pernambuco Brazil due to the available ground crew being too few to cope with storm conditions. Assistance was sought from the crew of “Karlsruhe” which was anchored in the harbour. 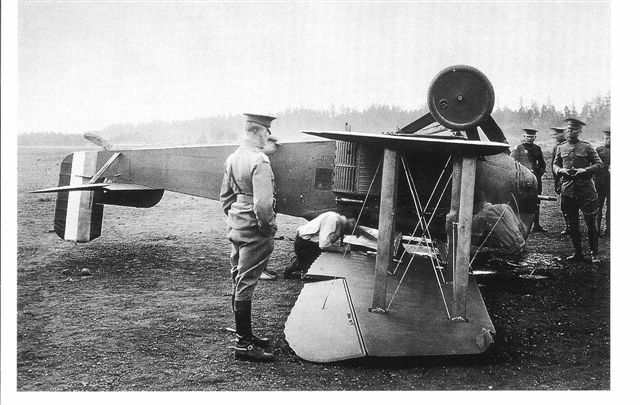 For services rendered, the crews’ mail was put aboard the Zeppelin, which reduced its transit time by approx one week. Naval mail used German stamps at inland rates and the cards carried both “Karlsruhe” ship mail and Zeppelin mail postmarks. 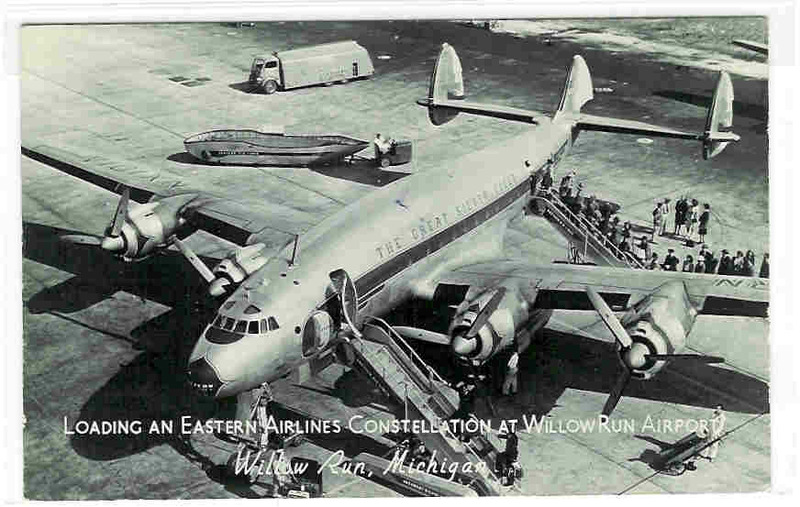 The once ubiquitous DC-3 is itself the object of many collections as also is the Lockheed Constellation as on this Eastern Airlines example at Detroit – Willow Run airport from Chris Slimmer, USA. You can’t get much more obscure in Airport cards than this second card from Chris Slimmer USA. 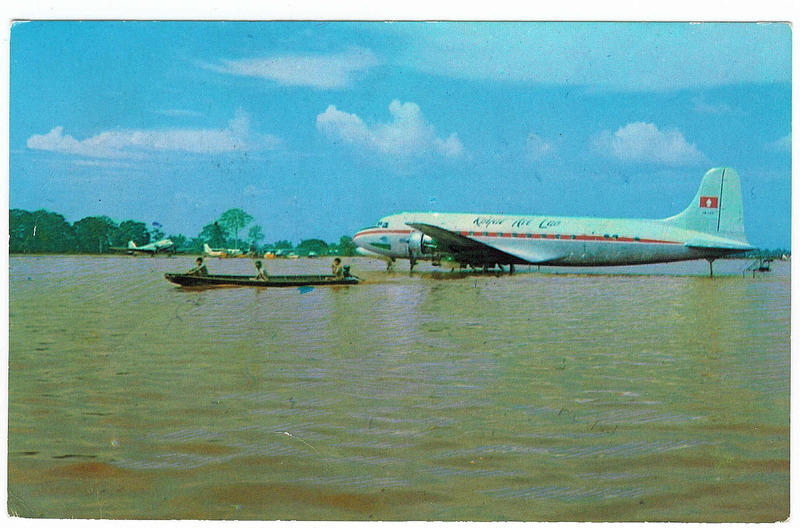 DC-4 of Royal Air Lao, at Vientiane airport, Laos, and showing the airport under floodwaters. The back text in French dates the flood to 1 Sept 1966. This also appeals to the hunter/gatherer instinct by turning up for a 25 cents at a flea market. More water but this time in its right place and supporting a Short Solent of Aquila airways at Las Palmas, Canary Isles on a Dixon card. Submitted by Peter Marson, Surrey, UK but originally from Southampton, home of British flying boat operations. 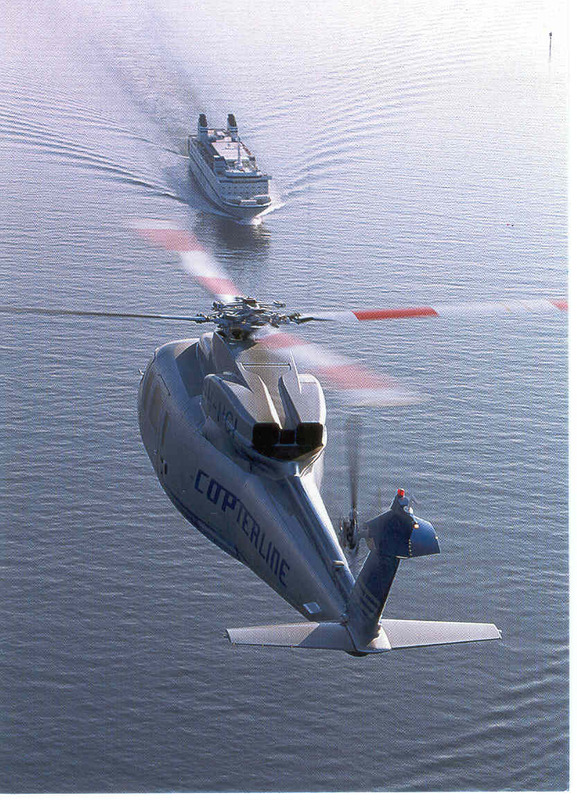 Flying Boats are another strong collecting theme. 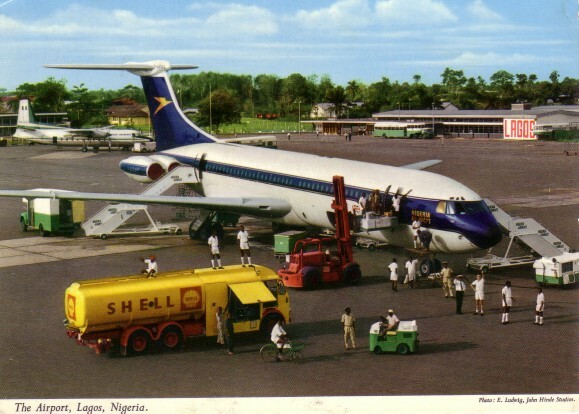 More John Hinde follows (and more Nigeria), this time from Carl McQuaide Tamworth, UK combining the airport theme with other favourites VC-10 and BOAC although this one at Lagos is leased to Nigeria Airways. Like for an old Edwardian photo postcard everybody has stopped to look at the camera. 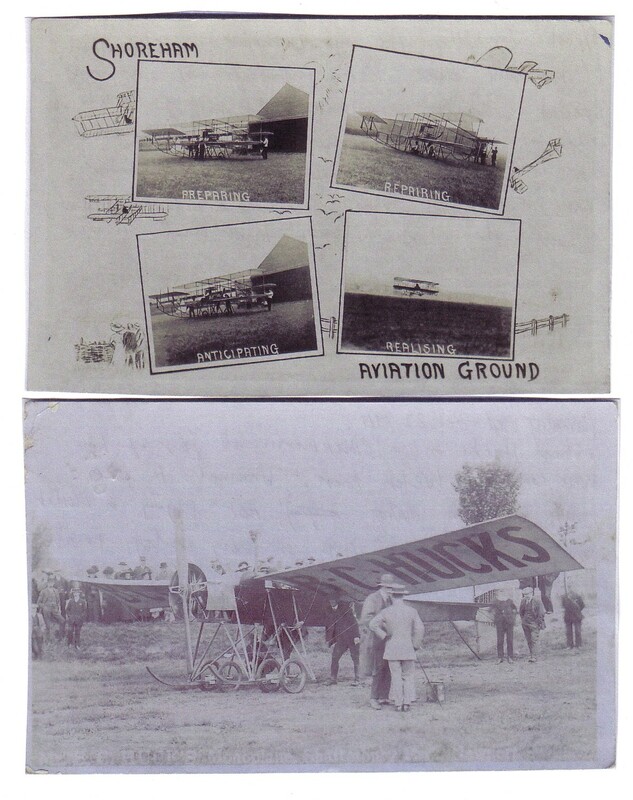 AIRLINE ISSUE cards are probably the most-collected sub set of commercial aviation, probably because they relate to how the airline wished itself to be seen, are set at a point in time, and, in the past, were often available, and written on, in flight. 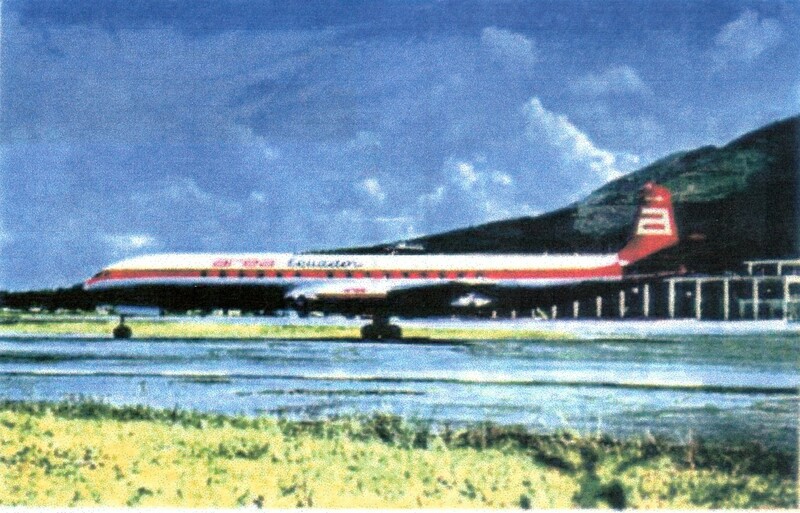 The types listed were supposed to be supplemented by a fleet of Avro Tudors but the type did not perform to specification and later , its bad safety record was a factor in the collapse of British South American Airlines. A prototype also killed its designed Roy Chadwick. 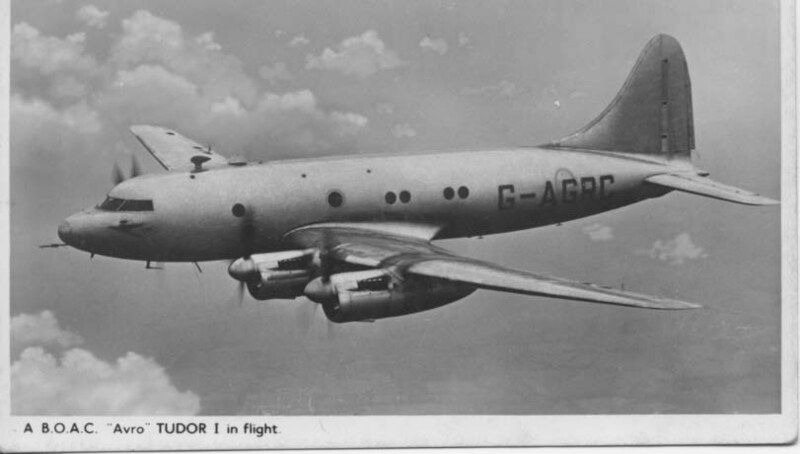 Phil Munson, Surrey, UK and Club Founder has this one, apparently a BOAC issue in their colours although they never operated it, finding the Constellation far superior – Constellations however needed scarce $ and BOAC/BEA were always under pressure to use UK built types. Of these the Comet and VC-10, have a good following among collectors, reflecting their technical, if not commercial success. 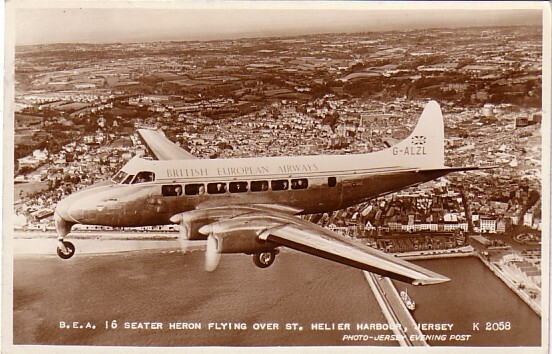 The Comet 4 card from BOAC is fairly common but this example, from Tony Sturgeon, Lancashire, UK is set apart by its back message, being autographed by the Captain of the first eastbound transatlantic jet service 4 October 1958. 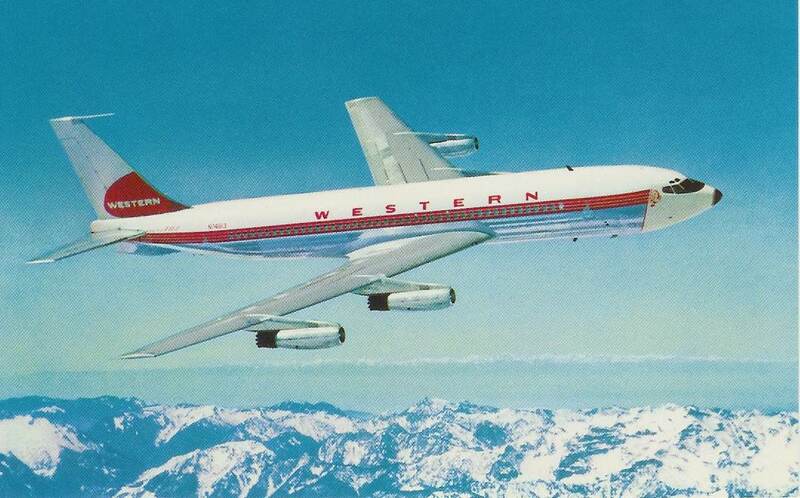 Geoff Dryden, Canada contributes a BOAC issue of the Super VC-10 model. 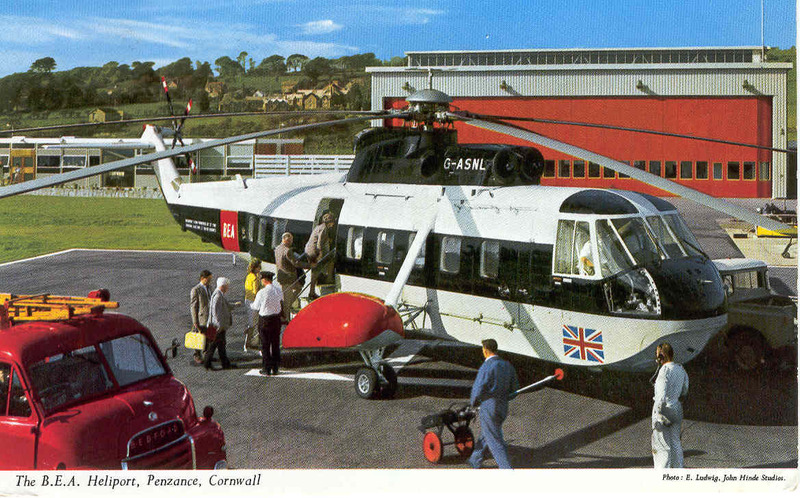 Actually in the colours of the short lived BOAC-Cunard joint operation. Cards aimed mainly at collectors by specialist publishers have had less of a following historically but that changes with age as many are now almost 50 years old. PI of Paris has always had a following. Frank Litaudon, France writes of them “PI started publishing airplanes and Parisian airport cards in 1953 as they obtained a monopoly for supplying Parisian airports shops with aviation related cards.This lasted over 40 years and a little less than 1000 cards where published till PI -which eventually was taken up by another editor :LECONTE- stopped publishing any aviation cards due to the end of their monopoly. Small numbers of airplane cards were not interesting any more compared to millions of Eifel tower cards that they were publishing”. 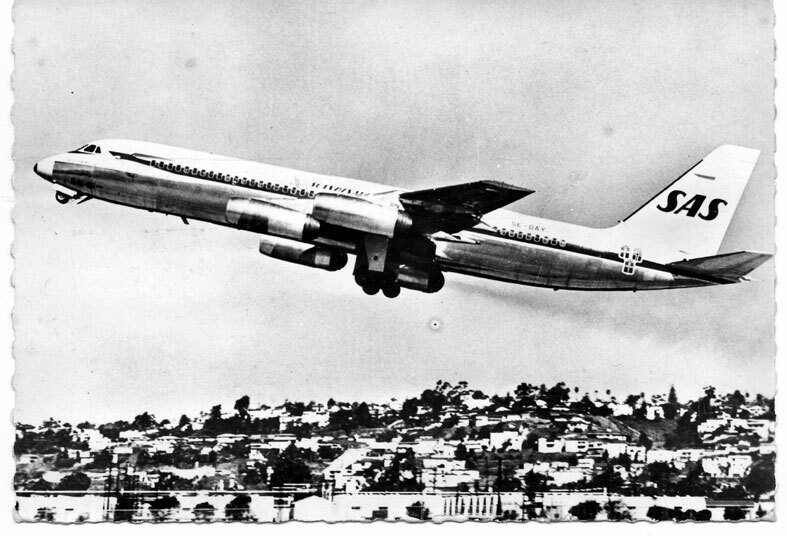 This SAS Convair 990 on a B&W PI represents another early jet with a strong following in this and the earlier 880 version. A unique publisher was Colombian company Movifoto. 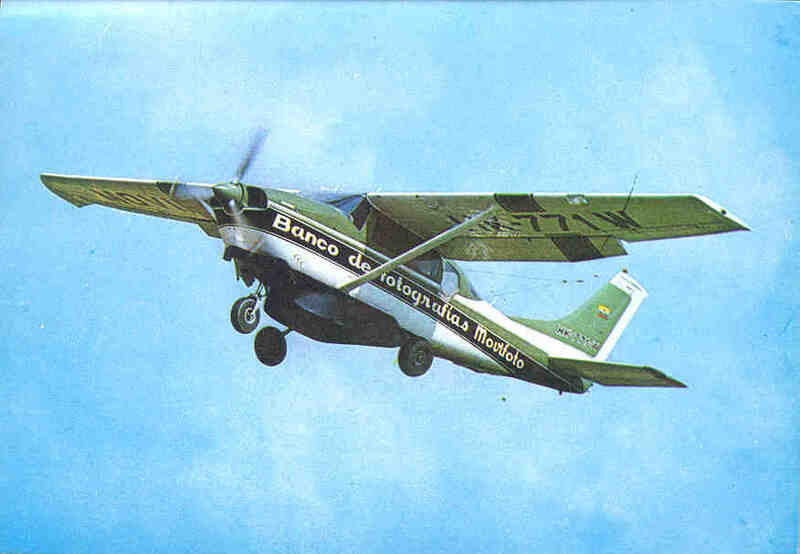 Their cards show mainly airliners, but also Colombian Air Force, types at, or in the sky near their home city of Medellin. They include many unusual airlines but most especially unusual angles, often showing aircraft taking off or landing viewed from above. These were made possible by the use of their own Cessna 206 lightplane and they produced this card of it, submitted by Geoff Dryden, Canada. By comparison with airliners there a fewer Military collectors. 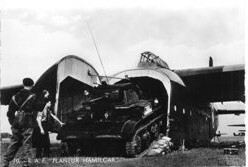 Chris Watts, France submitted this of a late WW2 RAF Hamilcar troop and equipment carrying glider – one of a large series of French cards apparently made very soon after the end of the war. In the UK there are probably more postcards of the Spitfire issued than any other military type with cards from the 30s, WW2 and, most commonly, retrospective and preserved example cards. 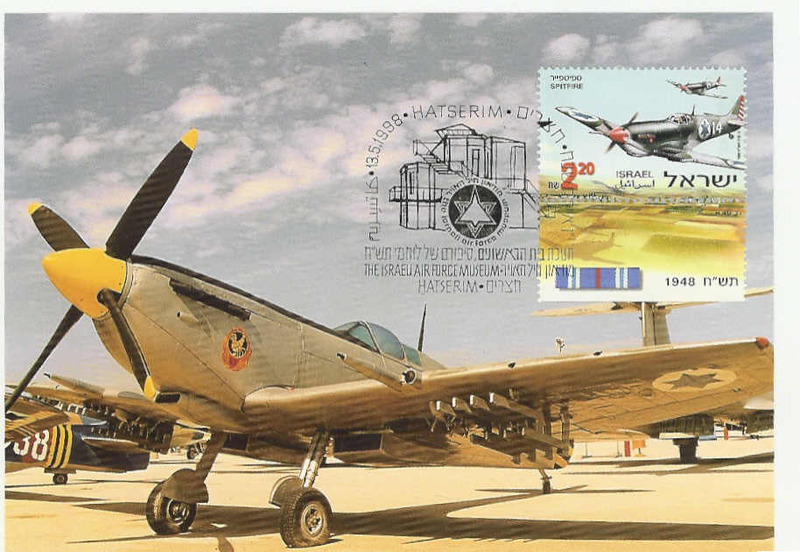 But the only one submitted was from Paul Lindenblatt , USA of this Israeli card commemorating its role in the 1948 war with Arab states consequent upon the founding of that state. The odd thing is that, at the beginning of that war, it was Egypt that had the Spitfires, and, to defend against them, Israel acquired Messerschmitt 109 s from Czechoslovakia. 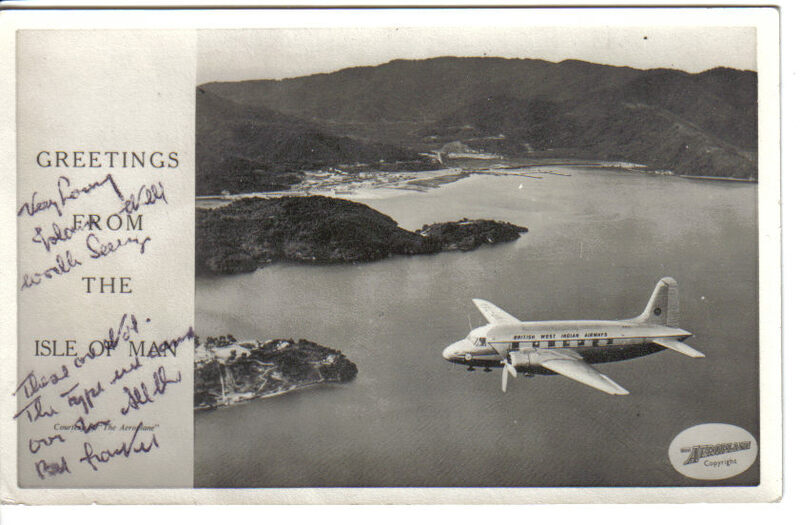 Frequent contributor Leonardo Pinzauti, Italy submitted an apparently Chinese DC-2 card. It was an Italian publicity card for the film, Lost Horizons, from 1937, starring Ronald Colman, in which a group of westerners, fleeing from a revolution in an unidentified Asian state, crash in a snowy valley in the Himalayas. They are rescued and escorted to “Shangri La” a hidden land unknown to outsiders. 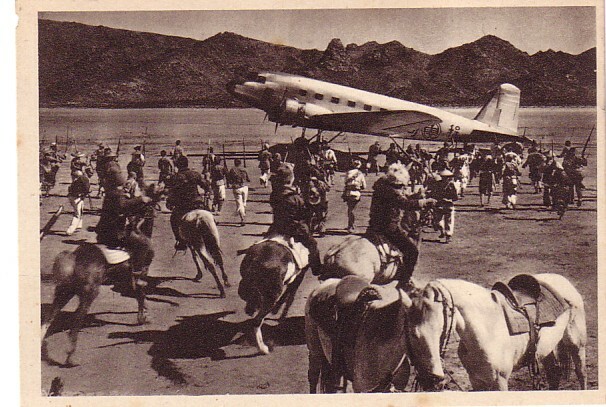 The card shows armed riders attempting to stop the take off. The DC-2 carries Chinese characters suggestive of the then Chinese airline CNAC. But in the 30s , whatever the supposed location, Hollywood films were shot either in the studio or on location a few miles away. 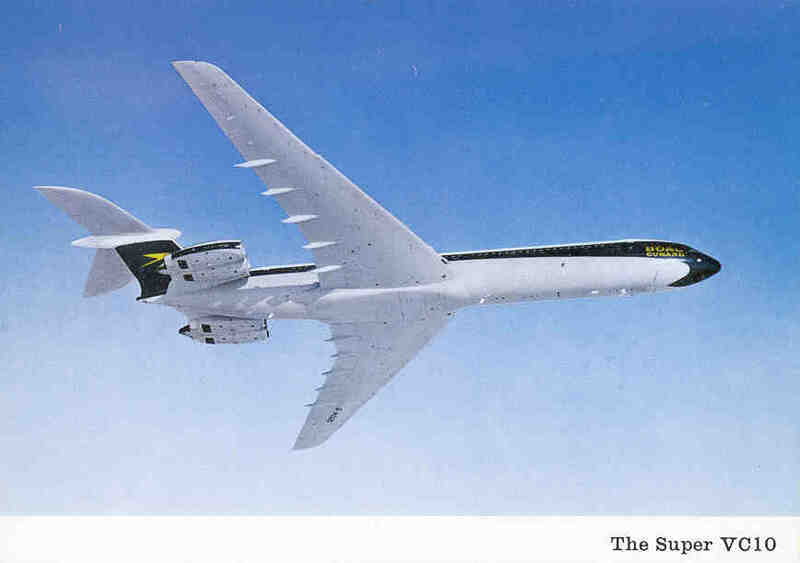 Comparison of the skyline with desert airliner “boneyard” shots make it pretty clear that this is Mojave. A film history website confirms that the film was part shot at Victorville, CA , which is near to the desert airfield. Next, the classic, “Worth a Second Glance”, Alan Daugherty, Isle of Man submitted this card, supposedly of that island. It is a plausible picture of a late 40s Viking airliner, and, if it had been one of the BEA fleet it would have been unremarkable. 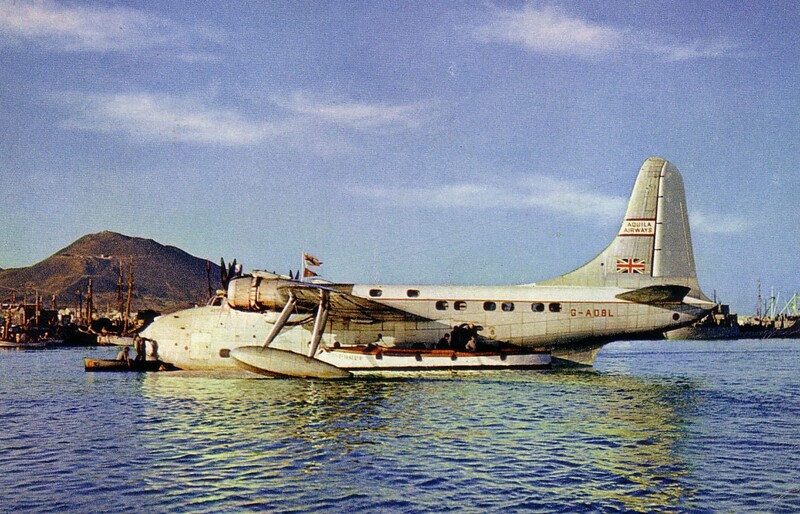 But it is much rarely photographed Viking of British West Indian Airways – not pasted on to an I.o.M view, but with actually both it and the view having no connection with that island.